This has been an incredibly busy summer and right now our school looks like a bomb went off in it! 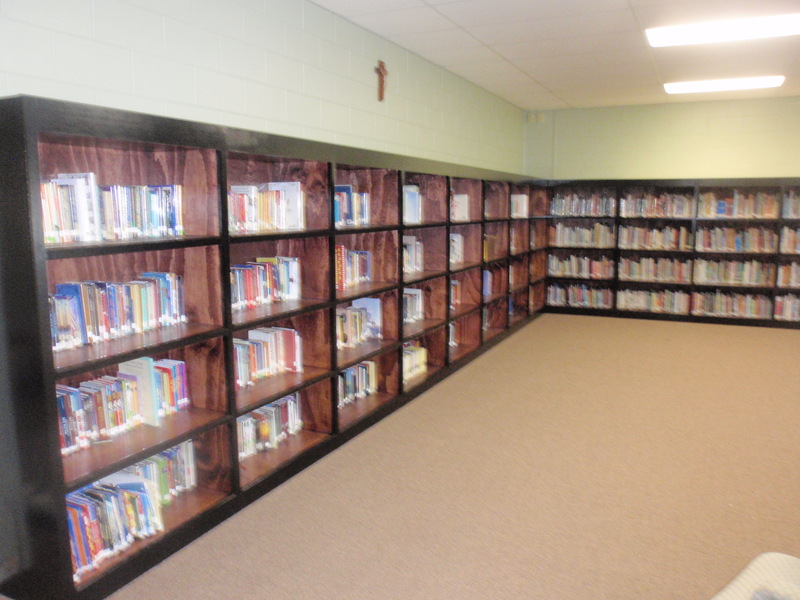 The library is making progress with new rug, shelving and a wall map already installed. 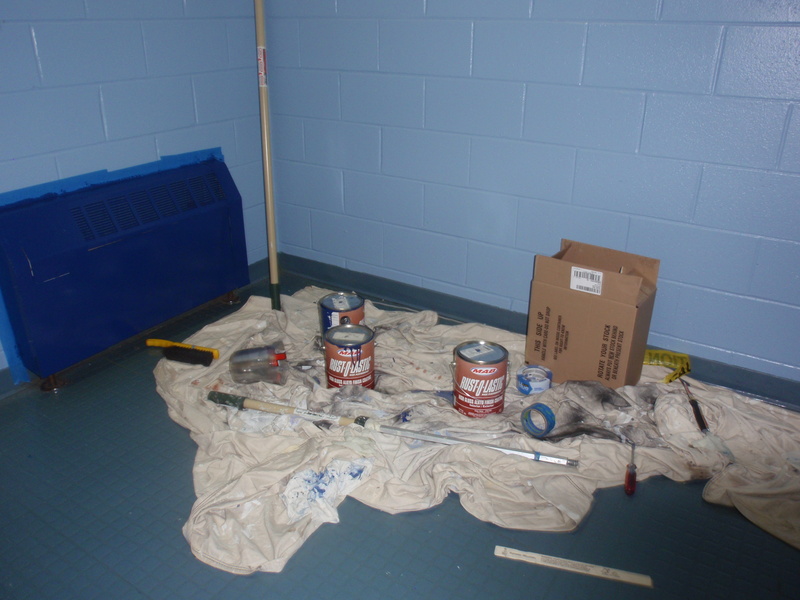 The Lab Learner equipment is coming in daily and will be installed on Monday, July 30. 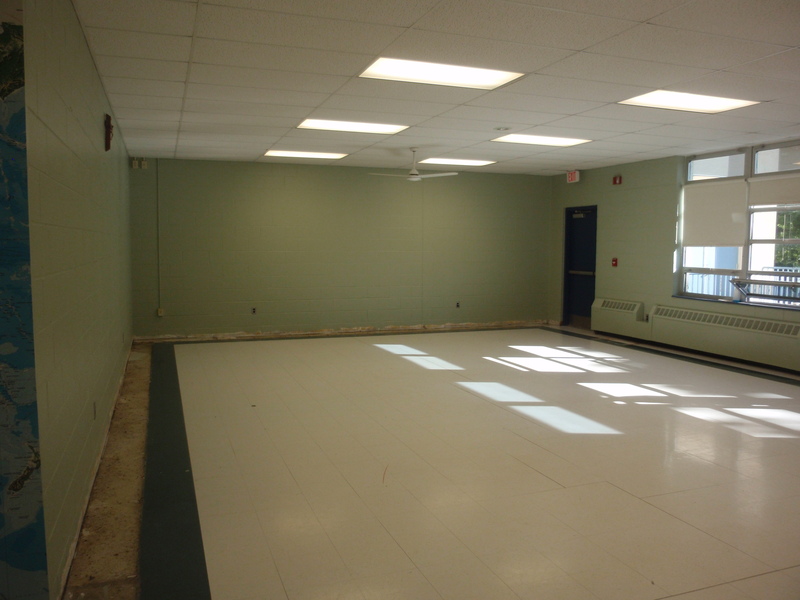 All the first floor classrooms have been painted as well as the back stairwell and gym. 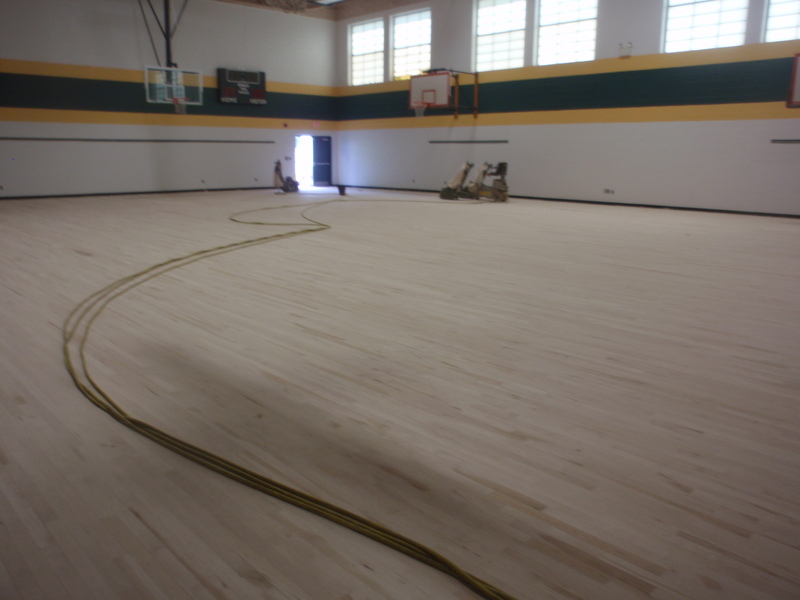 The gym floor is being sanded down and is going to look beautiful. All of our new PreK furniture has arrived and the teachers are ready to set up our brand new program! By the time August 27 comes, we will be ready to welcome everyone and show off all of our new upgrades! Go Warriors! 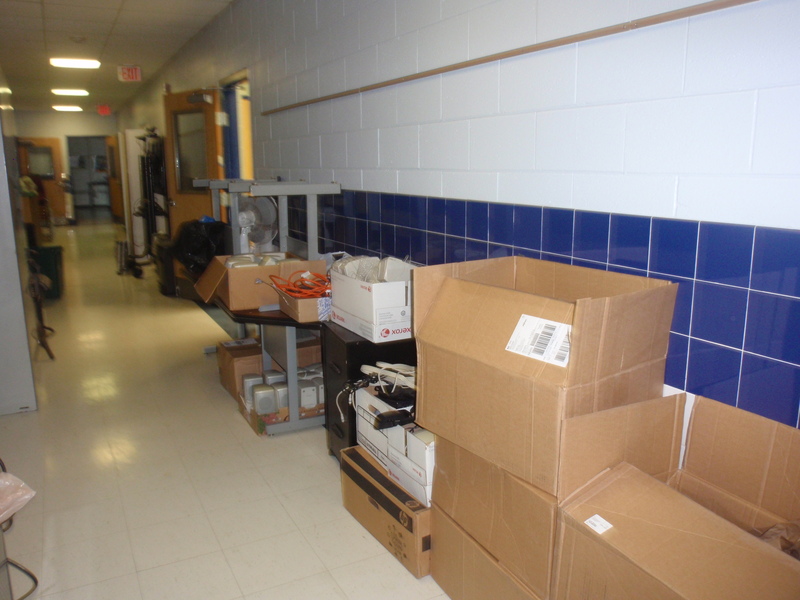 Lab Learner materials arrive at SPS! The gym floor sanded down to the original wood.